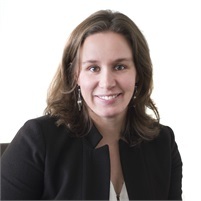 Amy is a Managing Partner of Wealth Advisory Group in Latham, NY. She has a vision to help propel the financial services industry into the future by building a culture that attracts, develops and retains the very best talent in both advisors, and leadership. Amy’s personal mission is to expand the present boundaries of our industry, helping more of our communities gain access to the financial balance and security available. Amy is President of WIFS, Capital Region, is a member of the political oversight committee for NAIFA NYS, and the AALU Ambassadors Committee, as well as the Field Advisory Board Marketing, and Management Development Committees with Guardian. She is currently working on her CAP designation, completed her CFP through the American College in 2011 and her Series 24 in 2013. Amy graduated from the Hartt School of Music, and subsequently the Eastman School of Music with degrees in trombone performance. Amy lives is New City, NY.